This honey buttermilk bread is an excellent bread machine loaf. Just add all of the ingredients to the machine and press the start button. Honey and buttermilk give this yeast bread great flavor and texture. Put all ingredients in bread machine in the order suggested by bread machine manufacturer. Choose basic or white bread and light or medium crust setting. Use the dough cycle and shape the bread into a loaf. Place it on a greased baking sheet or in a loaf pan and brush with an egg wash made with 1 large egg white and 2 teaspoons of water. If desired, sprinkle the loaf with sesame seeds. Bake at 375 F for about 30 minutes, or until the bread sounds hollow when tapped lightly on the bottom. 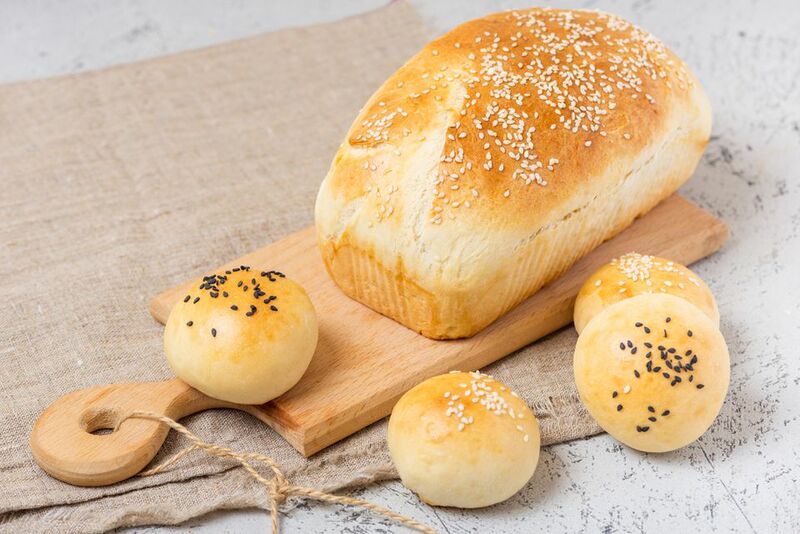 Put all ingredients in bread machine, in the order suggested by bread machine manufacturer. Choose basic or white bread and light or medium crust setting. Then knead again, adding some flour if the dough is sticky. Shape into rolls and allow to rise until doubled in bulk. You can use an egg wash and sprinkle with seeds of your choice; poppy, sesame, or caraway. Bake at 375 F until lightly browned. To make rolls or bake the bread conventionally, use the dough cycle, shape rolls or loaf, and then bake in the oven. Use an egg wash for a shiny surface.